I love taking my kids to youth theater productions. They can see peers on stage - it makes the shows come alive. 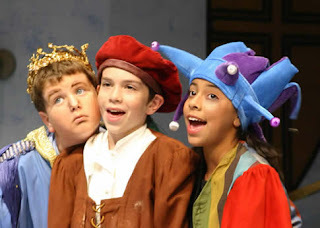 Hillbarn Theater in Foster City is presenting A Foolish Fairytale - a new musical. An evil witch puts a kingdom under her spell, and a young girl needs to break it. Tickets are $5. To purchase tickets, call (650) 349-6411. You might be able to get tickets online, but you have to create an account first.